It’s Release Day for Jill Weatherholt’s New Novel! 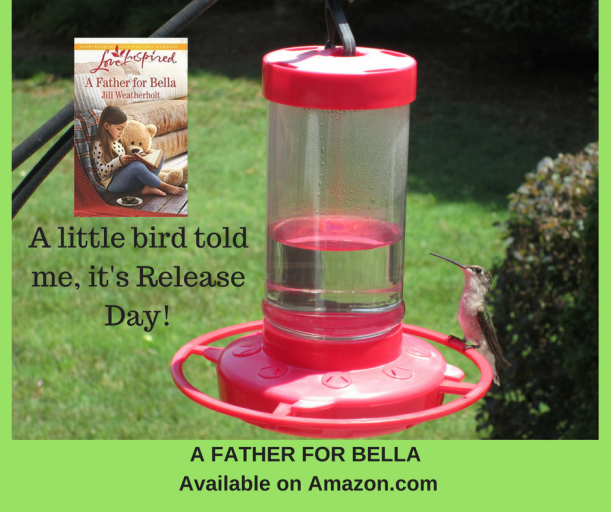 Congratulations to friend and author, Jill Weatherholt, on the release of her second novel, A Father for Bella! Click through and get your copy now! This entry was posted in Book Promotion and tagged A Father for Bella, happy endings, Jill Weatherholt, romance, warm-hearted. Bookmark the permalink. 8 Responses to It’s Release Day for Jill Weatherholt’s New Novel! Woot! Kudos to Jill. Thanks for sharing. Hugs to you both.